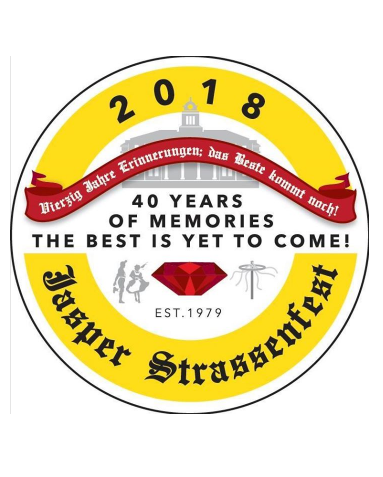 JASPER -- The Jasper Strassenfest Committee is still accepting applications for the 40th Miss Strassenfest Scholarship Pageant to be held on Saturday, July 28, 2018 at 7:00 PM at Redemption Christian Church, located at 1450 Energy Drive in Jasper. Applications for the Jr. Miss Strassenfest Contest are also now being accepted through June 15, 2018. Limited to 20 participants and open to young women entering the 7th and 8th grades as of the 2018/2019 school year and who live in the Greater Jasper School District. The mission of the Jr. Miss Strassenfest Program is to encourage and develop the life skills of young women through community service involvement, public speaking opportunities, interview skills, and personal development. The contest is held in conjunction with the Little Miss, Little Mister and Miss Strassenfest Contests on Saturday, July 28, 2018 at Redemption Christian Church of Jasper beginning at 7 pm.